Small - $72.99 Medium - $72.99 Large - $72.99 X-Large - $72.99 Only 5 left! Has anyone seen Ganondorf? Link has his Master Sword and he's ready for an epic battle. Also, he has a pocket full of rupees he found from chopping at the grass so you could say that the Master Sword has brought him luck thus far. Just please don't bring the sword around the chickens. That always riles them up. Whatever you decide to do with the Master Sword, an adventure will ensue. Maybe Legend of Zelda was your favorite video game growing up (or maybe it still is) or maybe your child fell in love with it on their own. Either way, Link is an undeniably important part of pop culture and has been since the game’s release in 1986. Since then, there have been many iterations of the game and many new adventures on new gaming platforms, but the one thing that remains consistent is our hero: Link. 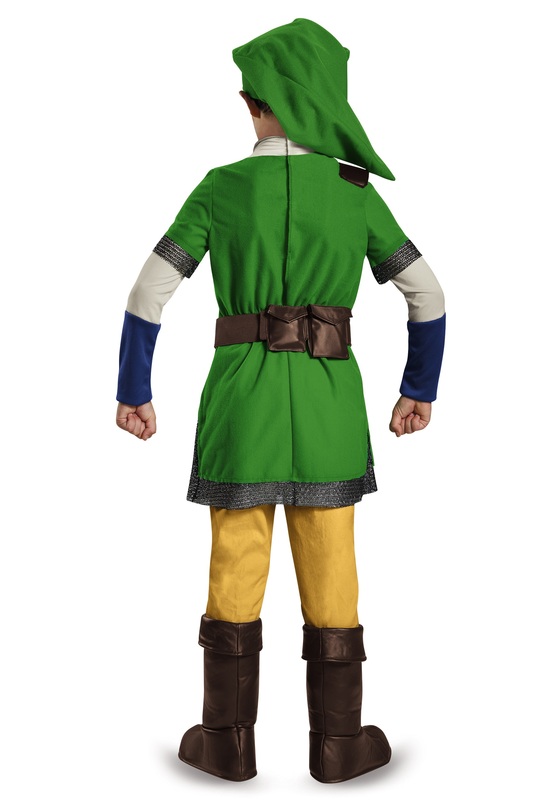 Even if your child has never played Legend of Zelda, they’ll love this Link costume (as I’m sure you will, too!). The poly/spandex blend tunic fastens with Velcro at the back of the neck and has a sewn-on foam and faux leather harness. The belt has functional pouches and fastens with Velcro as well. But Link wouldn’t be Link without the pointed cap – so this costume comes complete with a cone-shaped hat that has an inner skullcap for a comfortable fit. The costume comes together with the foam and faux leather boot tops that have folder-over cuffs and an elastic band under foot to keep them in place all night long. 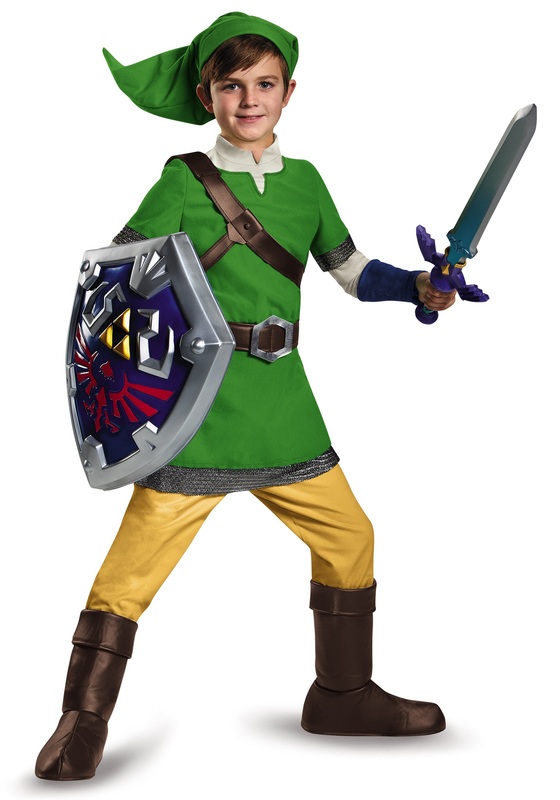 Transform your child into your favorite video game hero this Halloween with our Link costume!